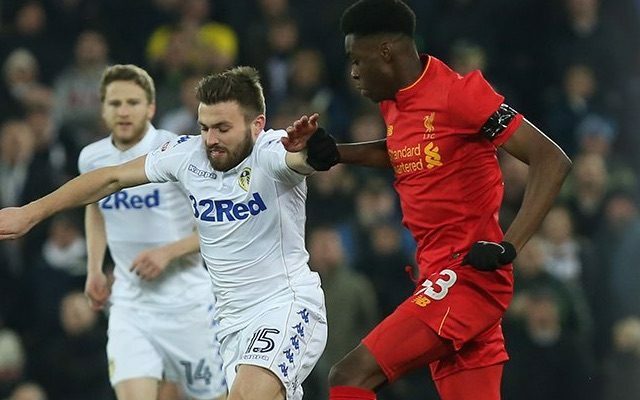 With Liverpool out of the FA Cup and EFL Cup, Ovie Ejaria may not have got many more opportunities this season anyway, but this injury news is very upsetting nonetheless. During today’s press-conference ahead of the Premier League tie with Chelsea on Tuesday, Jurgen Klopp confirmed the 19-year-old hurt his ankle against Wolves at the weekend and will be sidelined for a significant amount of time. Klopp: "Ejaria will be out for a while. He has ruptured something downstairs (around his ankle)." Ejaria has been used regularly throughout Liverpool’s miserable January, with Klopp choosing to deploy kids in the cup matches to keep his first-team fresh for the league, but we crashed out of the FA Cup against Wolves having laboured through versus Plymouth. The teenage midfielder started this campaign positively though and shouldn’t be blamed for our recent failings, as really, young players perform much better when brought in alongside experienced pros – not just other members of the Under-23 side. Hopefully, Ejaria can get well soon and maybe appear on benches towards the end of the season, ready for a big role during the summer pre-season tour.